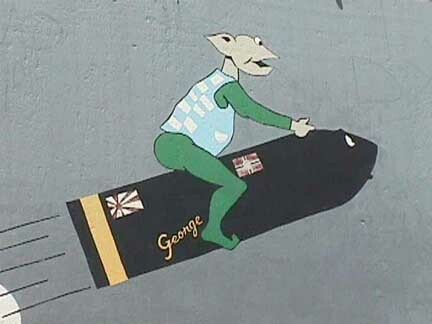 One of the cool things WG did with the Mass was to include George the gremlin on the side of the first turret. I looked it up and found some interesting info on George. Apparently, someone said that watching the shells fly out of the Mass's guns, and the way they spun, shook and wobbled, made it seem like a gremlin was riding them. The photos below are of George on the Mass today, and it the "version" WG used. Another theory was that any time something went wrong on the ship...it was due to the gremlin. But two things are different from "our George" and the real George per the photo below. 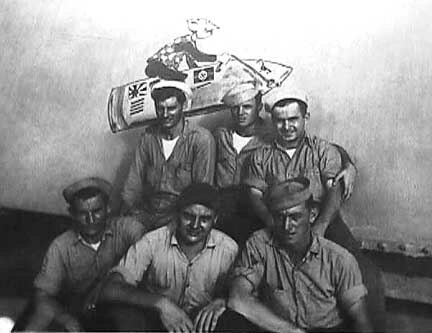 First, the shell on the real ship was lighter in color, and second it had three flags not two. Anyway it is cool, and I'd like to thank WarGaming for including it. Very cool guys! 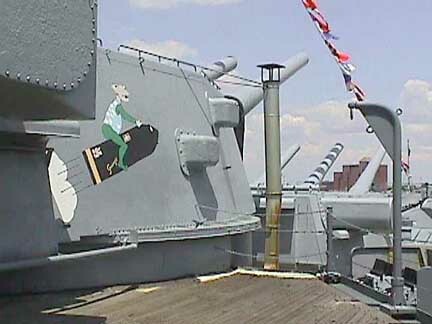 One of the cool things WG did with the Mass was to include George the gremlin on the side of the first turret. I looked it up and found some interesting info on George. Apparently, someone said that watching the shells fly out of the Mass's guns, and the way they spun, shook and wobbled, made it seem like a gremlin was riding them. Also, the painting on turret #2 you have in your post is a reproduction. But they've apparently also recently uncovered a painting from that era on turret #1 while doing restorations. At least it wasn't there a few years back, but when I went I visited a couple of weeks ago it was. Doesn't look like much, it's basically a faint outline, but still.